LIVE Transfer Talk: Napoli's Malcuit to help solve Arsenal injury crisis? TOP STORY: Malcuit to help solve Arsenal injury crisis? Arsenal are in the midst of a defensive injury crisis. With Sokratis and Laurent Koscielny injured this week, plus Hector Bellerin and Rob Holding out long-term, the Gunners may need to dip into the market in January to ensure they can actually field four recognised defenders each week and stop poor old Ainsley Maitland-Niles being forced to fill in everywhere. France Football claim that Napoli right-back Kevin Malcuit is high on the agenda, having become first-choice under Carlo Ancelotti this season. The former Lille and Saint-Etienne defender only joined the Italian club last summer for around £11m and has a contract until June 2022, so might it might be a tough ask to land him. And that's before you consider that Arsenal will have to deal with president Aurelio De Laurentiis, a known tough negotiator. 23.30 GMT:That will do it for another eventful day with our LIVE Transfer Talk blog. With less than 48 hours until the winter window closes, teams are scurrying to get last-minute deals done and bring in the necessary reinforcements. Remember to check back here in a few hours for all the latest transfer news, including Arsenal's pursuits for Ivan Perisic and Denis Suarez. Have a good night all! 23.25 GMT: Olivier Giroud to Wolves? Wolverhampton Wanderers boss Nuno Espirito Santo is still looking to bring in another striker on loan and while Liverpool's Divock Origi has been heavily linked with a move to the Molineaux, Nuno is an admirer of the France World Cup winner, Giroud. 22.55 GMT: DONE DEAL -- The LA Galaxy have acquired Man City youngster Uriel Antuna on a one-year loan deal. Antuna, a Mexico Under-21 international, joined City in 2017 and has spent the last year and a half on loan at Groningen in the Netherlands. 22.12 GMT: We mentioned Youri Tielemans to Leicester earlier and that deal looks like it is nearing the finish line. John Percy of the Daily Telegraph reveals that the deal will be a loan swap, with out-of-favour Adrien Silva heading to the principality. The 21-year-old Tielemans is rated as one of Belgium's top youngsters while Silva has done very little in the year following his delayed transfer due to a paperwork snafu. 21.30 GMT: Aston Villa are set to lose a striker but clam down Villa fans it is not loan star Tammy Abraham. Scott Hogan is the man set to leave the club, with Football Insider reporting that the Republic of Ireland international is poised to join Sheffield United on loan. The 26-year-old has never clicked at Villa Park since breaking out at Brentford in 2016-17 and a change of scenery could be just what the doctor ordered. New York City FC are reportedly set to splash out a transfer fee of "at least €8 million" ($9.1 million) to sign Romania international Alex Mitrita. The 23-year-old currently plays his club football in Romania with Universitatea Craiova, where has contributed 12 goals and four assists this season. Formerly with Pescara in Serie A, Mitrita can play as a winger or central playmaker and has made six appearances for his national team since breaking through in 2018. 20.06 GMT: For those reading the tea leaves out there, Everton' Idrissa Gueye has been left out of the side's squad to face Huddersfield. Everton reportedly rejected a £21.5 million bid from Les Parisiens earlier this month for the Senegalese defensive midfielder. 19:28 GMT: It's no secret that there is a great mutual respect between new Nottingham Forest manager Martin O'Neill and Stoke and Republic of Ireland winger James McClean. The two worked together first with Sunderland and later with Ireland and both originally come from the same county: County Derry. Now the two could be set for a reunion according to a report in England, the Mirror, via the Irish Independent suggesting that Forest could offload Ben Osborn in a swap for McClean. McClean, who was signed by Stoke in the summer from West Brom, has not started since Nathan Jones took over for Gary Rowett in early January and could now be viewed as expendable. McClean and O'Neill have combined for magic before and with Forest just four points out of the playoff positions in the Championship, who is to say the good friends can't produce some again? 18.45 GMT: What about Atlanta United star Miguel Almiron? 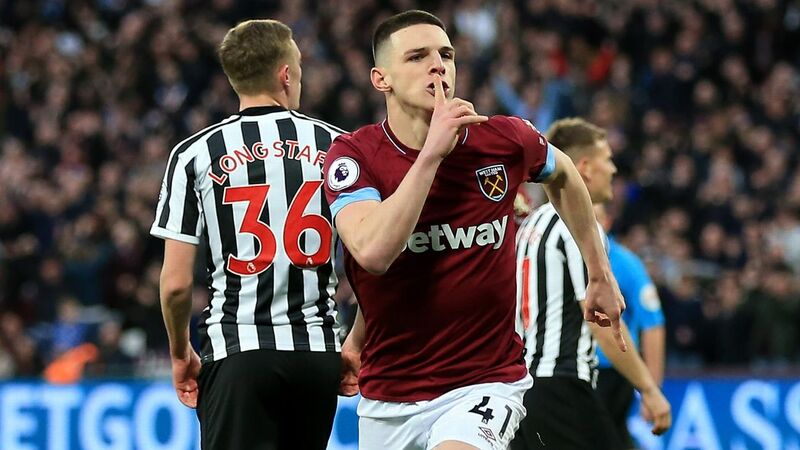 Well, there appears to finally be a major development, as the Atlanta Journal-Constitution is reporting that the Paraguayan playmaker has agreed to terms with Newcastle United. After months of speculation with the Magpies, a source close to Almiron has told the paper that a deal has been agreed to and that the player is flying to Newcastle for a medical on Tuesday. Almiron, 24, has been one of the most dynamic players in MLS during his two seasons in the league, scoring 21 goals and adding 30 assists in 68 games (including playoffs). The Paraguayan has won a league title at all three clubs he has played for -- in three different leagues -- but Rafa Benitez and Newcastle will settle for Premier League survival to start. 18.04 GMT: Staying in MLS for a moment, rumours are intensifying that the New England Revolution are close to signing Deportivo La Coruna midfielder and former Aston Villa player Carles Gil. Earlier this month Galician newspaper El Ideal Gallego, reported that the MLS club had made an offer for Gil and now there is speculation from Spanish media that Gil has left Spain and is in the U.S. to negotiate with the club. The Revs have also been linked with former Barca wonder boy Bojan, who is currently plying his trade with Stoke City. 17.38 GMT: Nani, remember him? There are rumours that the ex-Manchester United and current Sporting Lisbon winger is being shopped to MLS clubs. I don't normally retweet a lot of European veteran looking to come to MLS rumors, but I actually did hear this a few weeks back from someone who'd know. The 32-year-old has actually had a rather good season in Portugal so far, scoring nine goals and adding six assists. The Portugal international has won almost everything there is to win in football, having won four Premier League titles (2008, 2009, 2011, 2013) the Champions League (2008), the FIFA Club World Cup (2008) and even the European Championships (2016). Still blessed with great pace and tricky feet, Nani would profile as a great get and a well-suited player for MLS. 17.05 GMT: Leeds have announced they have signed Poland Under-19 midfielder Mateusz Bogusz from Ruch Chorzow, subject to international clearance. We don't know much about the young Pole but we are sure Marcelo Bielsa has an in-depth PowerPoint on him! Whatever your feelings are about the big, angular Belgian midfielder, it's a big loss for the Premier League. 15.57 GMT: Watford signed Nathaniel Chalobah from Chelsea in 2017 for around £5m, but he's not impressed and now Aston Villa are looking to take the 24-year-old midfielder on loan, according to the BBC. 15.42 GMT: Wolves are set to pay a club record £18m for Atletico Madrid defender Jonny Castro Otto, say the BBC. 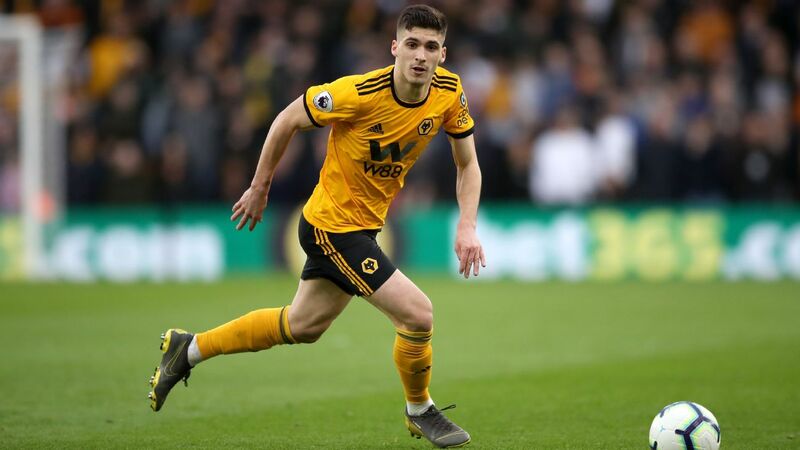 Jonny, 24, has made 21 appearances in all competitions for Wolves while on loan this season. But the club want to take him on a permanent deal and are ready to equal the fee they paid for winger Adama Traore when they signed him from Middlesbrough in July. 15.10 GMT: Paris Saint-Germain coach Thomas Tuchel and his superiors do not agree over Adrien Rabiot's status for the second half of the season with the wantaway midfielder set to stay at Parc des Princes past the end of January, sources have told ESPN FC. Rabiot, 23, has been frozen out of the senior setup since late 2018 after enraging sporting director Antero Henrique by refusing to sign an extension to his contract, which expires at the end of this campaign, so Tuchel has been deprived of the France international at a time of great need in midfield. According to a source close to PSG, the German remains keen to have Rabiot reinstated as part of his squad if he is still at the club by the end of this week and he has hinted a few times in public that he would like this option considered. 15.02 GMT: Vincent Janssen has no future at Tottenham and Sky Sports News report that Real Betis have made a move to sign the Dutch striker. The club value him at £15m, but they'd be lucky to get that much. 14.41 GMT: Alvaro Morata knows what to say to get his new fans on side. Can't wait to see his reception at his former club Real Madrid. 14.38 GMT: Memphis Depay is just really, really bad at keeping his own fans happy. The Lyon winger was pretty blunt when asked about his future. "Lyon is a big club, but not one of the five best in Europe, I want to go to a club like Real Madrid, Barcelona, Chelsea, Manchester City, Paris Saint-Germain or Bayern Munich," he told Helden Magazine. "I want to go to a city that suits me and a club that suits me, to a team that really wants to play football." Note Man United isn't on there ... because he's already tried and failed to make his mark there. But a move to rivals City would be fun. 14.15 GMT: Maurizio Sarri revealed that Chelsea have assured him Callum Hudson-Odoi will still be at the club next season after the 18-year-old's request to join Bayern Munich for £35m was rejected. Sources told ESPN FC on Monday that Chelsea have turned down Hudson-Odoi's transfer request and will not be selling him to Bayern before Thursday's transfer deadline, despite the fact that the winger has no intention of committing to a contract extension. Hudson-Odoi enters the final year of his deal at the end of the season, when he expects Bayern to revive their interest. Should they do so Chelsea will be in a very difficult position, but Sarri insisted that the club have told him they are unlikely to consider offers for their prized academy asset in the summer. "I have not the power to sign new contracts here," Sarri said. "On the pitch I am really very happy with him. I know the club told me that, in this window, he will remain with us for sure. Very probably also in the next. So we are really very happy with this. As I said, he is improving on the pitch and he is the future of our club and the future of English football." 14.06 GMT: Mauricio Pochettino says his optimism that Tottenham might be able to sign players before the transfer deadline has faded in the last few days. Spurs face the prospect of ending a second successive window without adding anyone to their squad, as Thursday's 11 p.m. cut-off approaches. And, while Pochettino has not ruled out a late move, he admits it looks unlikely that there will be a new arrival. "You know how we work -- in the last minute everything can happen," said Pochettino. "Of course different players maybe will have the opportunity to leave the club. We're going to see. Of course there's not too much time. A few days ago I was very optimistic about some options to sign -- realistic options to sign -- but today no, I'm not optimistic." 13.59 GMT: Juventus have signed Martin Caceres from Lazio, with Medhi Benatia completing a move to Qatari club Al-Duhail. 13.55 GMT: The BBC are reporting that Manchester United are in talks with a Chinese club over the sale of Belgian midfielder Marouane Fellaini. ESPN sources revealed a few weeks ago that Ole Gunnar Solskjaer is open to selling Fellaini this month and said that Chinese Super League sides Beijing Gouan and Guangzhou R&F are targeting him. 13.50 GMT: PSG midfielder Adrien Rabiot is unlikely to go anywhere soon as sources have told ESPN FC that "football (understandably) has taken a back seat" after the deaths of his maternal grandmother and his terminally ill father. A lot of options remain open to Rabiot, but a January move now looks like it will not happen as the family have more important things to think about. 13.18 GMT: Burnley defender Ben Gibson is the subject of interest from Aston Villa, according to Sky Sports who say: "It's thought the original deal would be a loan, but Villa want to include a clause to make the deal permanent in the summer." 12.59 GMT: Sporting Lisbon defender Merih Demiral has been on loan at Alanyaspor but sources have told ESPN FC that he is on a flight to Italy to complete a €6.5m move to Sassuolo. One of the most highly-rated young players in Turkish football, the 20-year-old would be a great signing for the Serie A side. 12.46 GMT: Manchester City could be set to sign Ante Palaversa shortly, with the 18-year-old midfielder undergoing a medical today ahead of a £7m move from Croatian side Hajduk Split, according to Sky Sports News. 12.36 GMT: PSG are still active in their pursuit of Everton's Idrissa Gueye after he reportedly handed in a transfer request. Everton like defender Thomas Meunier, but PSG are not keen to include him in the deal as that would create an issue for them at right-back. 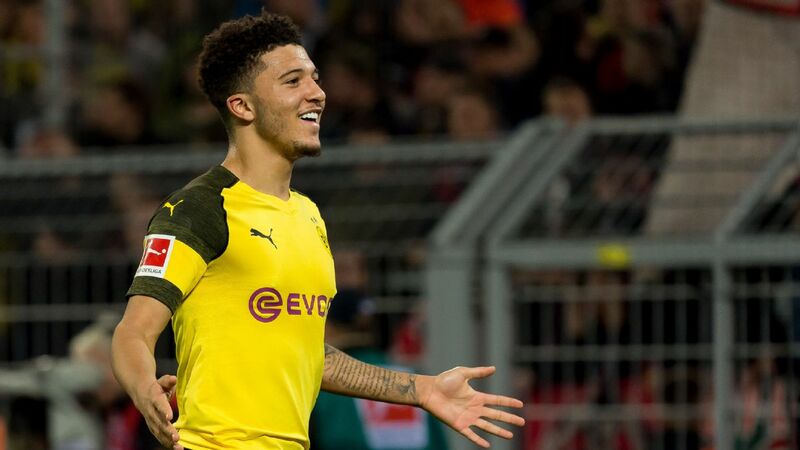 So PSG are set to make one last effort for Borussia Dortmund's Julian Weigl and Napoli's Allan in the hope that one of the three deals come off, having already signed Leandro Paredes, with Gueye looking most likely Another arrival would free Christopher Nkunku up for a move, with Arsenal keen on a loan there. 12.23 GMT: Just when you thought it was over ... it pulls you back in. Cadena COPE reported that Arsenal have agreed a deal with Barcelona to take Denis Suarez on loan, with an option to buy in the summer and Mundo Deportivo report the move will be done in the "next few hours." And sources have confirmed to ESPN FC that Denis is finally set to complete his move. Talks broke down last week after negotiations reached a stalemate with Arsenal only wanting to sign Denis on loan. Barca were willing to let the midfielder leave temporarily, but only if any prospective deal included an obligatory option to buy. However, with the player keen to push through a switch to London, sources said Barcelona have found a workaround. Denis will join Arsenal on an initial six-month loan, with the Premier League club paying a small fee up front. They will then have an option to sign the former Manchester City youngster for around €20 million at the end of the campaign. But the Catalan club will prolong Denis' contract by an additional year until 2021, which they believe will protect his sell-on value should Arsenal choose not to make the deal permanent in the summer. 12.04 GMT: Eddie Howe says Bournemouth have had no offers for defender Nathan Ake, with the Dutchman linked with a return to Chelsea for £40m. "The speculation, as it has been all January, has been purely that -- as with all our players," he told a news conference. "We've had not contact from any other club so it's business as usual." 11.49 GMT: Legolas-lookalike Domagoj Vida is back on the radar after impressing at the World Cup with Croatia and Il Messaggero report that Fulham and Inter Milan are facing competition from Roma for the Besiktas defender. 11.26 GMT: Celta Vigo president Carlos Mourino says West Ham target Maxi Gomez will only leave the club if his €50m release clause is met. The Uruguay striker has attracted the attention of several clubs after scoring nine goals and setting up five more in 19 league appearances this season. The 22-year-old is not the only Celta player to be strongly linked with Premier League outfits though, Spanish midfielder Brais Mendez is a target of Newcastle, who are reportedly prepared to pay his €25m release clause. "There has not only been an interest in Brais (Mendez) and in Maxi (Gomez)," Mourino said in a news conference. "There's a fear that there are other players that can have their release clause met. It's a sporting situation that causes us anxiety. There are negotiations in place for three (Maxi Gomez, Brais Mendez and Stanislav Lobotka) of our players to have their release clauses paid. We have no way of stopping that, but none of them will leave for less than their release clause. The market is about to close and besides those tempting offers for key players, we don't expect many departures." 11.14 GMT: Jese (remember him?) looks set to join Real Betis on loan from PSG, who will cover most of his wages. He will have a medical in Seville later today. 10.57 GMT: Danny Batth has left Wolves, with Stoke making the defender their third permanent signing of the January transfer window for around £3m. The move ends Batth's 18-year association with the club he joined as a 10-year-old, while his former Molineux teammate Benik Afobe and Ryan Woods have already signed for the Potters. 10.43 GMT: TSG Hoffenheim have signed 20-year-old centre-back Lucas Ribeiro from EC Vitoria. He will join his teammates following the ongoing U20 South America championships. 10.30 GMT: A court case between Barcelona and Neymar, originally due to start this week, has been delayed until March 21, a Catalan court has announced. Neymar has taken his former club to court regarding the non-payment of a loyalty bonus. The Brazilian was due a fee of around €26m on July 31, 2017, just four days before his world-record €222m move to Paris Saint-Germain was made official. But Barca refused to make the payment. 10.20 GMT: Marko Rog has joined Sevilla from Napoli on loan until the end of the season, the Serie A club confirmed on Tuesday. The 23-year-old midfielder joined the Azzurri from Dinamo Zagreb in 2017, but struggled to force his way into the first team regularly this season. The move happened so quickly that he has already taken part in his first training session for the Spaniards after passing a medical on Monday and could make his debut against Barcelona on Wednesday night in the Copa del Rey. 10.14 GMT: Leicester City have been at the front of the queue for Monaco midfielder Youri Tielemans for a while, but it looks like Tottenham might be planning a late swoop. The Daily Telegraph report that "sources at Monaco claim Tottenham chairman Daniel Levy is willing to sanction the move and is now just waiting on the green light from manager Mauricio Pochettino." 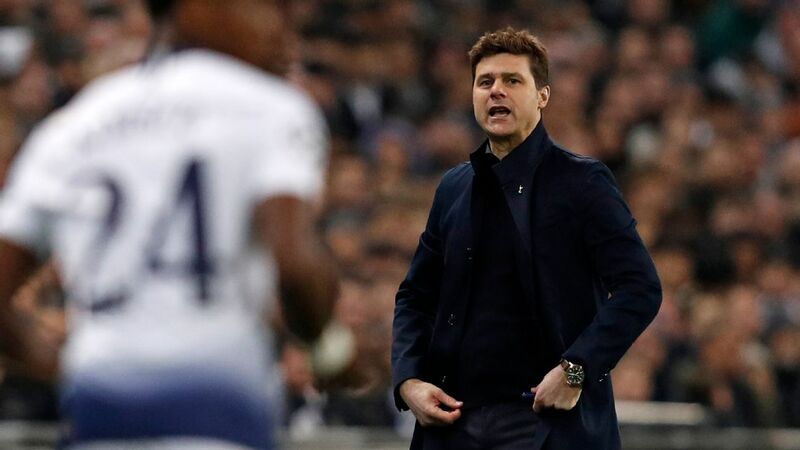 Pochettino has repeatedly been downbeat at the prospect of signing players this month but, with Mousa Dembele having left, there is a gap in the squad to fill. 10.00 GMT: Barcelona midfielder Ivan Rakitic has said he wants to stay at the club despite the persistent rumours linking him with a move away from the La Liga leaders. Diario Sport reported on Tuesday that Chelsea, as well as Arsenal and Manchester United, are interested in signing him from Barca at the end of the season. Rakitic, 30, is out of contract in 2021 and the club have no immediate plans to extend his terms but the Croatian remains hopeful of penning a new deal. "I want to be at Barcelona and, if I can renew my contract, I want to be here for many more years," Rakitic said at Mundo Deportivo's annual gala on Monday. "I am really happy here, everyone knows that, above all the president [Josep Maria Bartomeu]. I don't have anything else to say [about my future]." The signing of Ajax midfielder Frenkie de Jong for an initial €75m, announced last week, is set to ramp up the competition for a place in Barca's side next season. De Jong's arrival is also expected to trigger a number of summer sales -- mainly of fringe players -- as Barcelona look to balance the books. 09.30 GMT: Inter Milan general manager Beppe Marotta has conceded it would be hard to stand in the way of Ivan Perisic as he seeks a move to Arsenal. Unai Emery is interested in the Croatia winger, who has put in a transfer request, but Arsenal and Inter have yet to discuss terms. At the weekend, Marotta insisted a transfer would only happen if all sides were satisfied but he has now shown a willingness to negotiate rather than be left with an unhappy player in his squad for the remainder of the season. 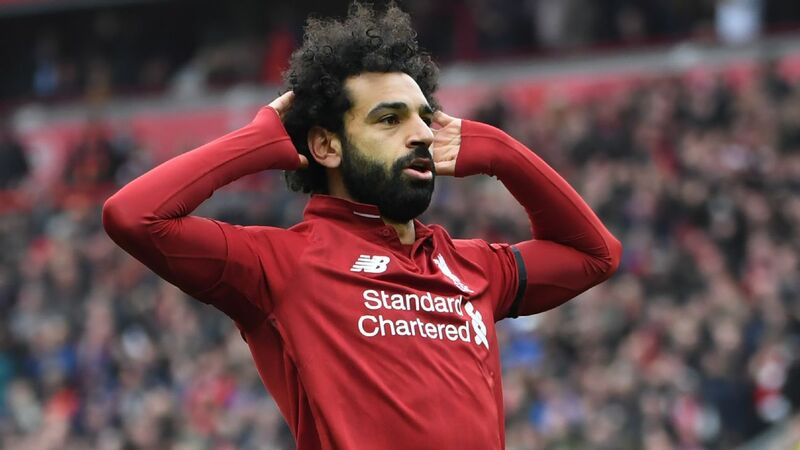 "It is hard to keep hold of players if they don't want to stay," he told Sky Sport Italia after emerging from a meeting with club directors on Monday evening. "There have been very few moves [this winter] and a lot of unsatisfied players, so it's up to us to deal with this situation. "As things stand, no concrete offer has arrived so there are no conditions [to sell Perisic]." 09.10 GMT: DONE DEAL! Paris Saint-Germain have finally completed the signing of midfielder Leandro Paredes from Zenit St Petersburg on a four-and-a-half year deal. 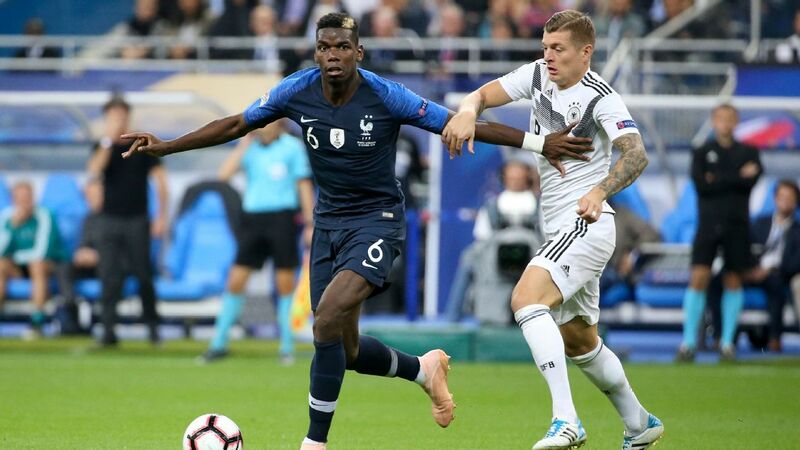 The Argentina international arrives at Parc des Princes for an initial fee of around €40 million with bonuses that will take the deal near the €47m mark. 08.55 GMT: Speaking of Callum Hudson-Odoi, sources have told ESPN FC that Chelsea have rejected his transfer request and will not be selling him to Bayern Munich in January. Hudson-Odoi formally notified Chelsea of his desire to join Bayern on Saturday, but was nevertheless picked to start by Maurizio Sarri against Sheffield Wednesday in the FA Cup fourth round less than 24 hours later and scored an impressive goal in a 3-0 victory at Stamford Bridge. Chelsea have insisted from the moment that Bayern's interest became widely known that they want to keep Hudson-Odoi, who enters the final year of his contract at the end of the season and has no intention of committing to a long-term extension. Willian revealed that he and Hudson-Odoi's other teammates are trying to talk him out of a move, telling reporters: "We want him to stay. He's a great talent. A great player. We tell him all the time to stay here. "We don't want him to leave. He can become one of the best players for Chelsea, one of the best players in the world, in the future. He has to stay. "The quality he has, he has everything. He's fast. Of course, he can improve, he's only 18, but he can improve a lot to become one of the best players." 08.35 GMT: There could soon be another young English talent leaving the Premier League for the Bundesliga -- and it's not Callum Hudson-Odoi. Sources told ESPN FC on Monday that Manchester City academy graduate Rabbi Matondo was close to completing a move to Schalke. Now kicker reports that the 18-year-old winger has arrived in Germany to complete his move. City could reportedly receive around €13m for Matondo, 18, who would be eligible to face City when the two clubs meet in the Champions League round of 16. 08.00 GMT: Tottenham are planning a £30m summer move for Valencia midfielder Carlos Soler, sources have told ESPN FC. The London club have not signed a player for Mauricio Pochettino's squad since capturing Lucas Moura from Paris Saint-Germain during the 2018 winter window. 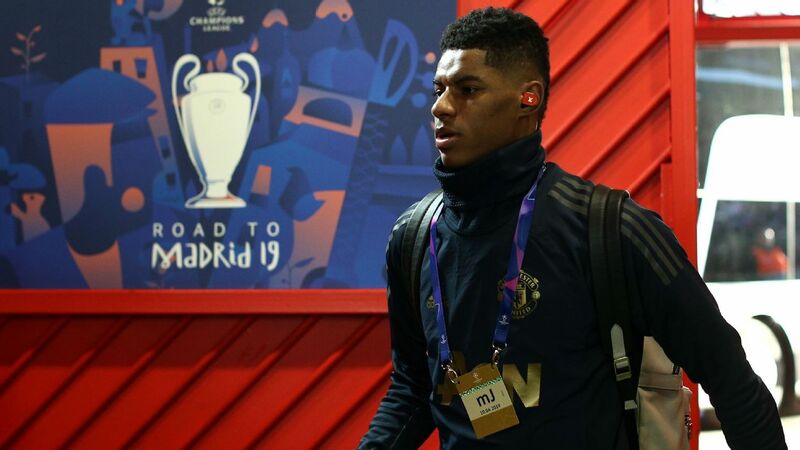 But efforts are already being made to add to the squad at the end of this season, with Spain Under-21 midfielder Soler -- who scored in Valencia's 2-1 Champions League win against Manchester United at La Mestalla in December -- regularly watched by Tottenham's scouting team during this campaign. Soler has scored two goals in 28 games in all competitions for Valencia this season, but the right-sided player has also created six assists for the club, who have overcome a slow start in La Liga to be challenging for Europa League qualification. Paris Saint-Germain are also monitoring the 22-year-old, but sources have told ESPN FC that Spurs are the frontrunners to sign the player due to their ability to offer a greater prospect of regular football than the French champions. Miranda the Monaco miracle man? Monaco have entered the race to sign Inter Milan defender Miranda, reports Sky Sport Italy's Gianluca Di Marzio. The Brazilian has only managed eight Serie A appearances this season with Milan Skriniar and Stefan de Vrij favoured at the heart of defence, and is thought to be pushing for a move away from Italy. Monaco seem intent on trying to buy their way out of trouble, having already splashed the cash this January, not only on players, but on re-hiring Leonardo Jardim, to whom they had paid around £7 million in compensation after dismissing him in October. In order for a deal to be considered though, the Nerazzurri will first need to find a suitable replacement for the ex-Atletico Madrid centre-back. The Independent reports that Rafa Benitez is for the first time seriously considering his future at Newcastle after another fruitless transfer window. With his contract at St James' Park coming to an end this summer, the ex-Liverpool boss could leave before the end of this campaign for free, with a penalty clause no longer valid. Once again this January, Benitez has been left frustrated at the Geordies' failure to sign a single player and with little more than 48 hours to go until the market closes, it seems increasingly likely that the 58-year-old will have to make do with his current squad or walk away. Newcastle were reportedly close to signing Jordan Lukaku last week, however the deal did not materialise, nor did an agreement for key target Miguel Almiron, leading Benitez to confirm that he might not even last until May. "No I cannot guarantee anything," Benitez said. Spurs are believed to have opted against signing Udinese's Rodrigo De Paul, leaving the door wide open for Inter Milan to pounce. Calcio Mercato reports that the London club were given an opportunity to move for the 24-year-old star but have decided against doing so, despite injuries to key men Harry Kane and Dele Alli, and two cup exits in just one week. Inter are now at the front of the queue for the Argentine attacker, which would in turn facilitate Ivan Perisic's departure to Arsenal before the end of the window. Cue a change of heart from Spurs and an ensuing deadline day auction between the North London rivals in a bid to claim the transfer bragging rights. According to the Daily Star, Chelsea are readying an attempt to re-sign the defender who left for Bournemouth in July 2017. 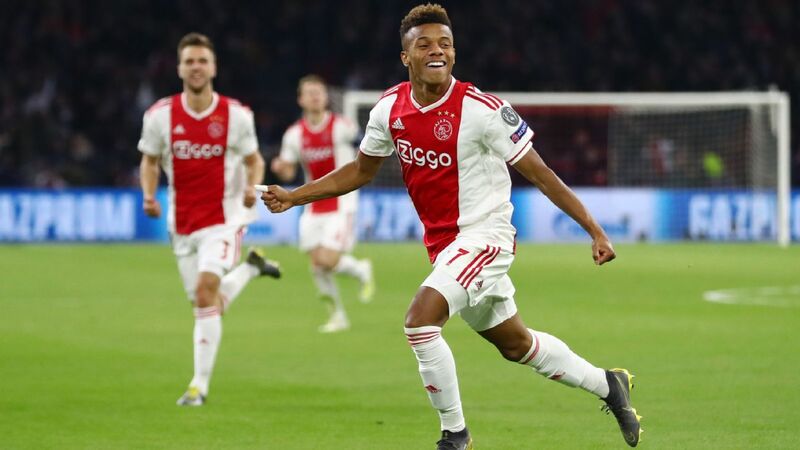 The London club have first refusal on the Dutchman and in a bid to boost their homegrown quota, would reportedly be willing to part ways with £40m. Leicester City are rumoured to be in talks with Monaco to sign the Belgian midfielder. The Foxes had been planning for a quiet transfer window, but having let Vicente Iborra leave for Villarreal, they are believed to be pushing for the 21-year-old in what would be a £20m deal. The Watford forward is being courted by AC Milan, according to Calcio Mercato. The Spaniard spent six months on loan at San Siro back in 2017 and is believed to be interested in returning to Italy. Watford reportedly want around £26m for the player, whilst the Rossoneri would favour an initial loan deal with an obligation to buy thereafter. Drinkwater could follow Victor Moses from Chelsea to Fenerbahce, according to reports. 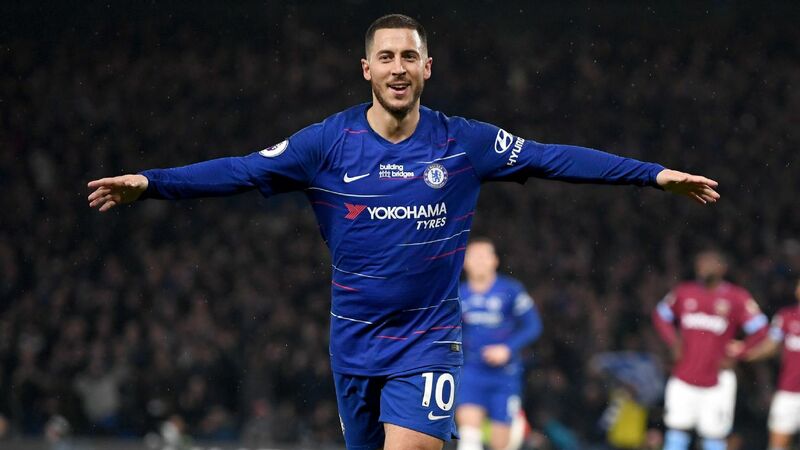 The English midfielder has been a peripheral figure at Stamford Bridge this season and may look to re-ignite his career at the Turkish club, in what would likely be a loan deal. Manchester United are weighing up a move for the Cagliari midfielder, according to reports in Italy. 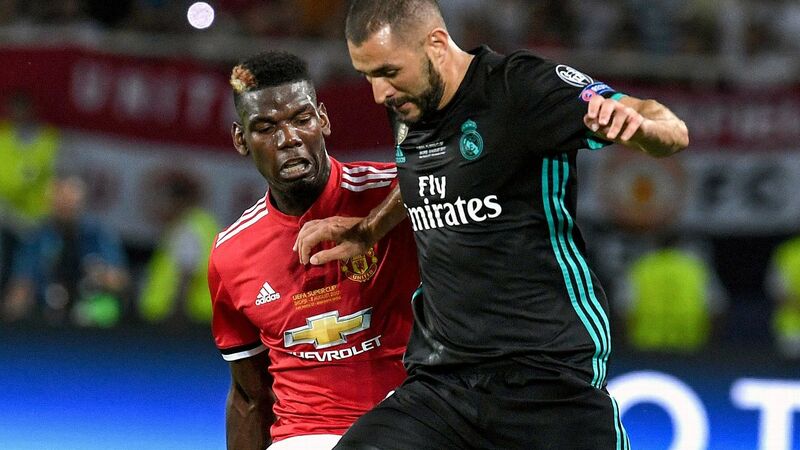 The Red Devils would have to fork out around £44m to secure the Italian international's signature, and fend off interest from a host of rival European clubs in the process.